It takes will power to not give in to delicious salty, oily and just darn tasty tortillas chips. Restraint is a foreign term in my vocabulary. When I saw this bag of Habanero flavored tortilla chips a small drop of drool dropped from my snack food craved mouth.. 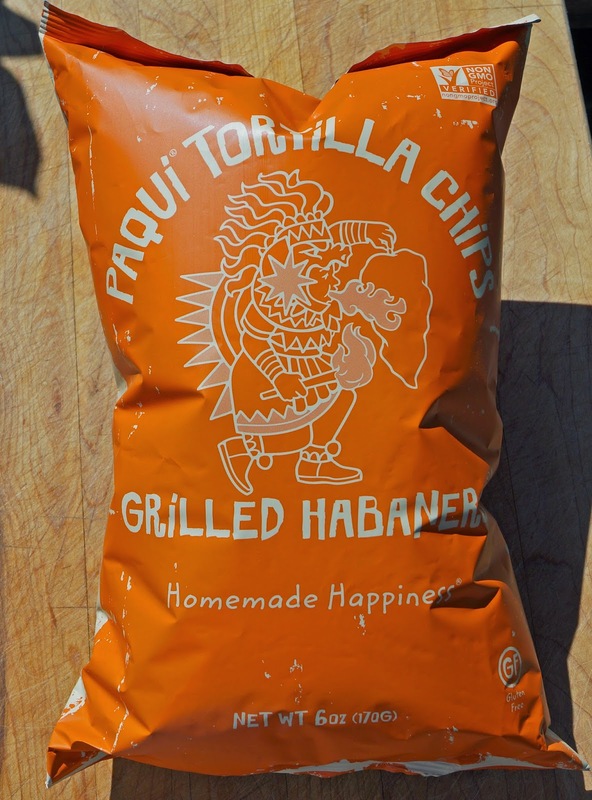 This is the 'Paqui Brand tortilla chip and it was found at my favorite hang out 'Heat Hot Sauce Shop' in Berkeley. Paqui is an Aztec word that means "to be happy'. Paqui is also a tortilla and chip manufacture based in Austin Texas. They have different chile flavored chips ranging from the deadly ghost pepper to the mild jalapeno. Habanero will be our choice today. (They were out of Ghost pepper flavored). Feel the burn! Happy happy! Greg, It burns so good. 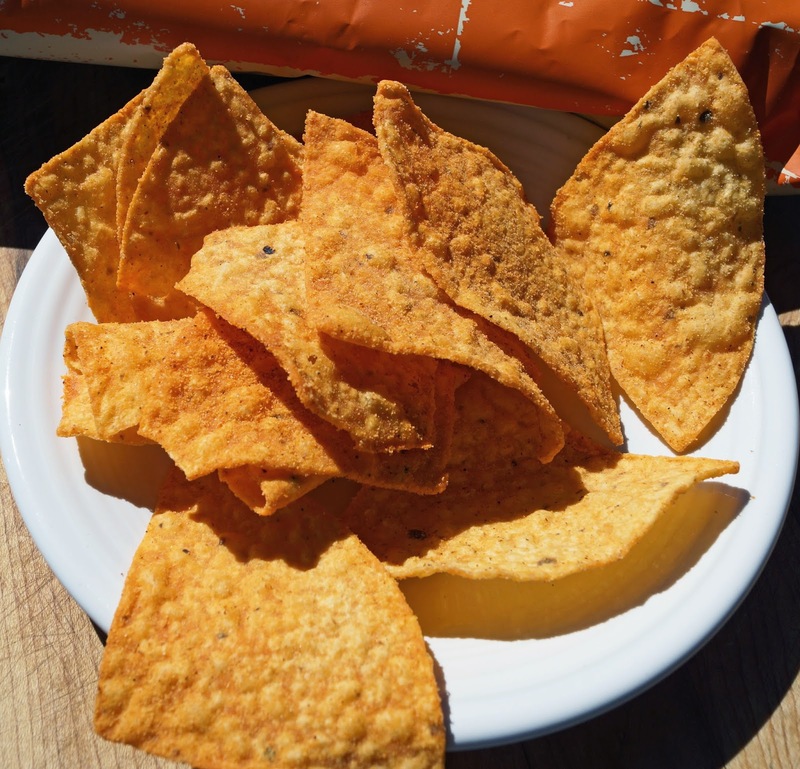 Doritos has a Habanero chip that does not even compare. It is almost sweet. Paqui is the real deal. Three Dogs BBQ, This chip is great for cold beverages. It will put a warm smile on your face.